Kids say the darnedest things! They can be so serious and so funny, but also so heartfelt and sincere. 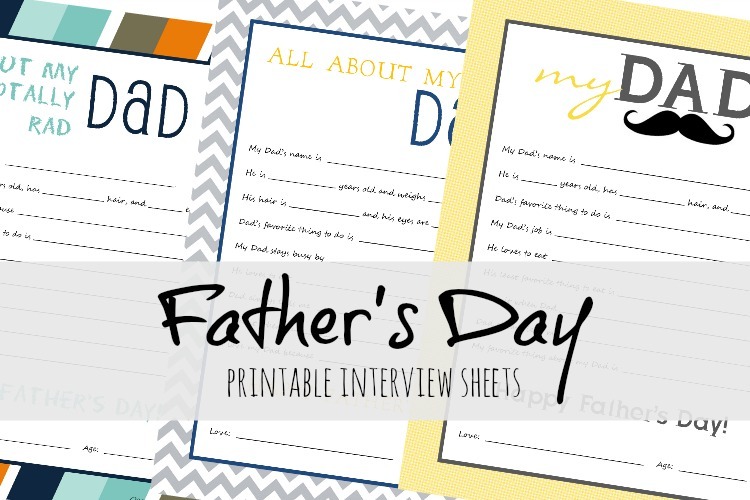 Father’s Day interview sheets are a fun gift, plus a great way for kids to express their affection for Dad! It’s a look at Dad’s life through his child’s eyes! Priceless! I always have to giggle when my boys draw pictures of the people in our family. I truly appreciate that they draw me thinner than I am and that they always make sure to get my eyelashes included. For their dad, they put a small tuft of blond hair on top since his receding hairline has left little evidence of his once thick curls. It’s adorable that they see us as a happy smiling family. Melts my heart. Ask them questions about us though and you’ll get some answers that make it hard to suppress the belly laughter. At the same time, the revealing of their sentimentality is so incredibly precious. I adore interviewing my boys. I love to hear their thoughts or what they love the most. 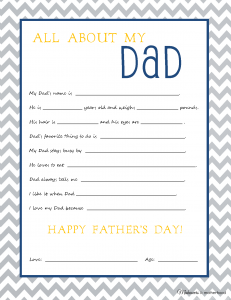 And even in lieu of the Father’s Day gifts we’ve made, this activity is probably my favorite thing to do with the boys for their dad. 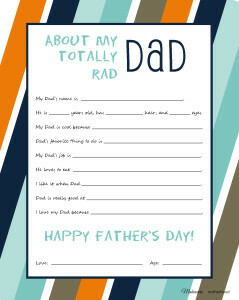 As they’ve gotten older, they’ve nailed some of the questions like “My dad is ______ years old.” The answers of “why they love their dad” and “what they like to do with him” have changed as they age, but they are still as sweet as they were when the boys were toddlers. 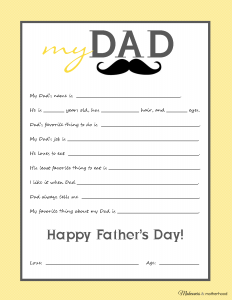 So I highly suggest making this a Father’s Day family tradition and keep their sweet responses to look back on in years to come. And who can forget those loveable grandpas? 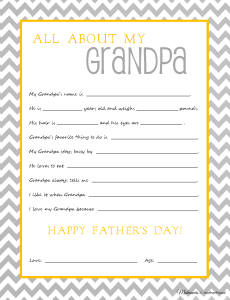 Yes, we even have a printable for Grandpa too! 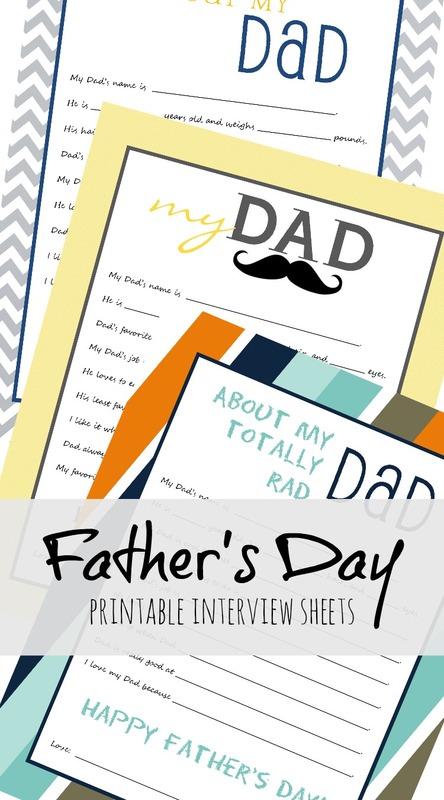 It’ll make the wonderful dads in your life laugh and melt their hearts at the same time!